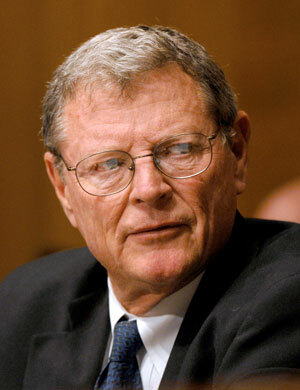 Sen. James Inhofe’s daily Environment & Public Works Press Blog is a source I check early and often. The posts, which are more like essays than press releases, are incisive, rigorous, and witty. In today’s post, Sen. Inhofe explains, by the numbers, why the claim that cap-and-trade will help us get “beyond petroleum” is horse feathers. Cap-and-trade will significantly increase our pain at the pump, yet will hardly make a dent in U.S. dependence on petroleum and oil imports. In EPA’s analysis, the Kerry-Lieberman bill would raise gasoline prices to $5.00 a gallon in 2050 yet would leave U.S. petroleum consumption about where it is today. EPA’s analysis last year of the Waxman-Markey bill came to much the same conclusion, observing that it “creates little incentive for the introduction of low-GHG [greenhouse gas] automotive technology.” Similarly, the Energy Information Administration estimated that Waxman-Markey would reduce U.S. petroleum consumption in 2030 a mere 5% relative to the baseline projection. And, as Sen. Inhofe notes, there is no provision in either bill to refund the extra bucks consumers would have to shell out at the pump.